The bird bath was a good quality product! Instructions not easy to understand. Base not as sturdy as I would like. Afraid bowl will fall off when tipped. Other than that, a fantastic product. 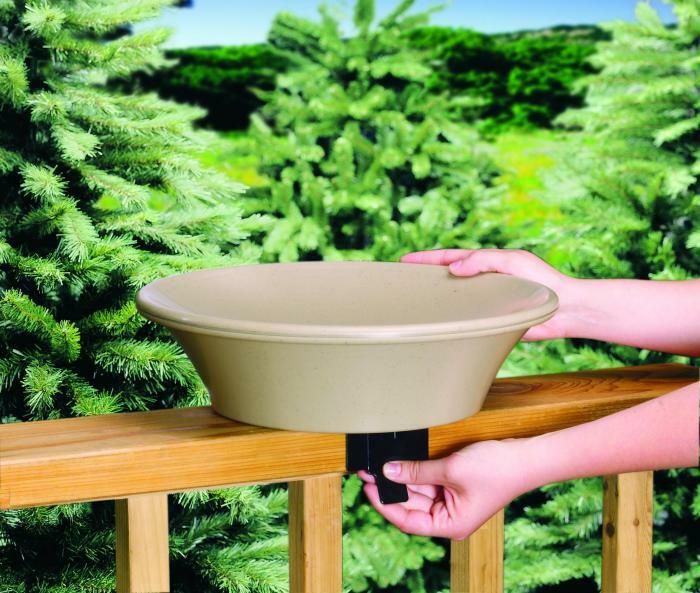 The bird bath was easy to install on our deck railing and tilts easily for cleaning. Birds have been enjoying it ever since! It came with fairly easy directions, is very easy to use and clean. The birds are definitely enjoying it and I am enjoying being able to easily watch the birds on my deck rail.